Jalapeño Cheddar Corn Bread - Home. Made. Interest. 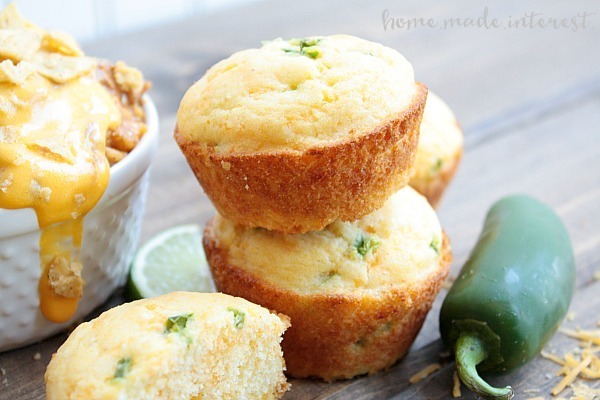 This Jalapeño Cheddar Corn Bread is a simple side dish for an easy weeknight meal. Did you know that May was National Hamburger Month? No? I didn’t either until May was almost over, but someone mentioned it to me last week so I used it as an excuse to fit one of my childhood favorites into my weekly meal plan. That’s right guys, I went old school with some Hamburger Helper® and this amazing jalapeño cheddar corn bread. It was quick and easy and the leftovers made a great lunch! 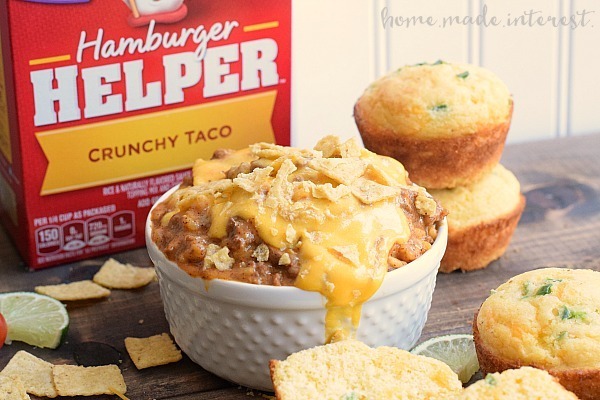 With National Hamburger Month in mind I grabbed a box of Hamburger Helper® Crunchy Taco during my weekly shopping trip to Walmart, along with ground beef, a box of cornbread mix, a fresh jalapeño, and cheddar cheese. You know I love to cook, and coming up with new recipes and making things from scratch is something that makes me very happy, but sometimes mommy needs a break and Hamburger Helper® is an easy dinner that everyone in my house enjoys. Hamburger Helper® helps turn plain ground beef into a delicious meal with almost no work on my end. 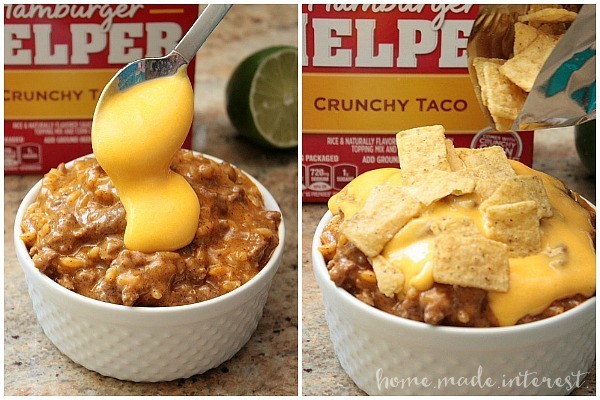 This was the first time I had the Hamburger Helper® Crunchy Taco and it’s a keeper! It is a mix of rice and tex-mex flavors that you add to your browned ground beef and simmer in one pot until it is cooked through. Then you top it with a cheesy sauce and crunchy chips. I love the addition of those chips! 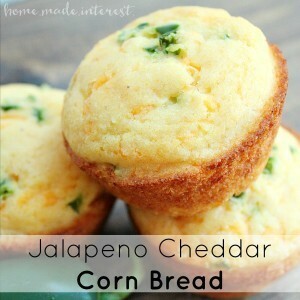 As a side I made these simple jalapeño cheddar corn bread muffins. I used a boxed corn bread mix and added diced fresh jalapeño and shredded cheddar cheese. They were a perfect addition to the meal, and the great thing about the Hamburger Helper® and the corn bread is that they taste great the next day too. We had the meal for dinner during the week and then over the weekend I heated everything up for an easy lunch. 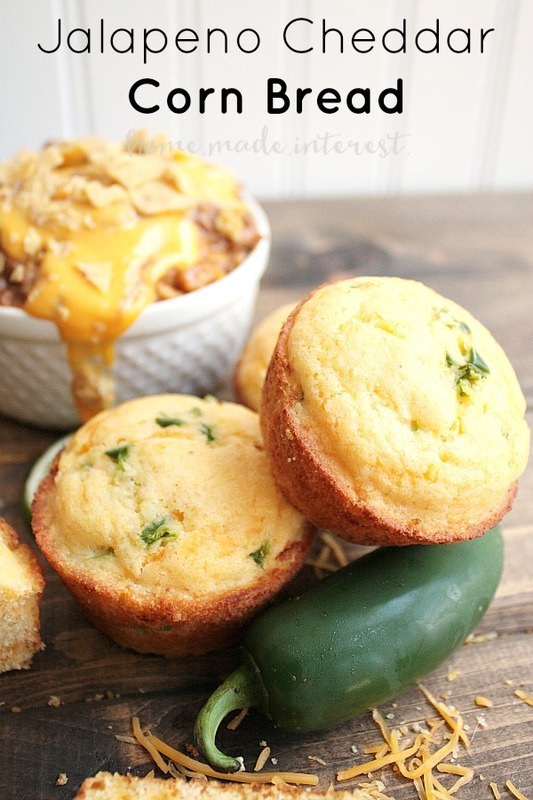 Delicious corn bread with fresh jalapenos and cheddar cheese. A quick and easy side dish for a weeknight meal. Preheat oven to temperature indicated on box. Mix all ingredients together and pour into a muffin tin. What is one of your tricks for a quick and easy weeknight meal? Let us know in the comments!